S K OR E.T. & L. CORP.
Dear Valued Customer: At Woodco Machinery, we put our customersâ&#x20AC;&#x2122; needs first. We understand that your time is valuable and that reliable, productive equipment is essential for your bottom line. We are committed to going the extra mile to keep your machines running year-round. Our sales reps, technicians and representatives are here to ensure that your fleet is operating at peak efficiency every day. In this issue of Wood Works, learn how Hydraulic Specialists Joe Piwinski and Dave Purdy minimize downtime for customers through our hydraulic hose maintenance and repair shop. They work directly with our parts department, which is stocked to create customizable, hydraulic hoses for every machine we carry. To help keep your business operating on schedule, we can machine a hose within 30 minutes. Volvoâ&#x20AC;&#x2122;s ActiveCare Direct provides telematics monitoring and fleet utilization reporting to improve uptime and reduce costs. The 24/7/365 service allows Woodco Machinery to monitor your equipment and notify you when action is needed. The remote analysis expedites service when it is necessary, further reducing costly time away from the job. Read more inside to see how ActiveCare Direct can improve your profit potential. The new Volvo ECR355E excavator brings versatility to a wide variety of projects. A short-tail-swing radius allows operators to work confidently and safely on tight jobsites. The integrated Volvo work-mode system gives operators the choice between five settings to match performance to an application. Discover more about the excavator inside. As always, Woodco is here for all of your parts, service and equipment needs to help you maximize profitability. If there is ever anything we can do for you, please call or stop by one of our branch locations. We look forward to making 2019 a successful year for you. Learn why this family-owned company from Randolph, Mass., attributes its success in sweeping, landscaping and site development to happy, loyal customers. Read how this Stow, Mass., firm offers a diverse mix of services, which provides opportunities to play a key role in several high-visibility projects throughout the area. Check out the details on Volvo’s versatile, compact ECR355E excavator, which saves on space in confined jobsites thanks to its short-swing radius. Discover more about ActiveCare Direct, Volvo’s telematics service, and how it can simplify fleet management by transforming data into actionable information. The hydraulic hose shop at Woodco Machinery is committed to ensuring customer uptime by providing hose repair and replacement services. See more inside. When Karl Wells started taking college classes, he picked up a landscaping job to help pay for tuition. At the time, his girlfriend and now wife, Mary Ellen, was also employed full time to cover her education costs. A year later in 1983, Karl and Mary Ellen decided to start their own company, Wells Landscaping, and have continued to work together for the last 35 years. “The first couple of years were a lot of hard work, but Mary Ellen grew up in a construction family and we both had a strong work ethic that helped us to succeed,” recalled Karl. Today, Mary Ellen is President of the Randolph, Mass.-based company while Karl serves as Treasurer. Their business provides a suite of services including full site development, street sweeping and snow removal. The couple’s two sons, Karl Jr. and Tim, work for the firm as operators and mechanics. Their daughter, Mary-Kate, is finishing her master’s degree while also helping in office administration at Wells. Karl’s brother, Mark, runs the sweeping division. With 15 employees, Wells Landscaping focuses on landing private contracts and takes pride in providing quality over quantity. At The Village at Broad Meadow subdivision in Randolph, Mass., Operator and Mechanic Tim Wells creates a smooth pad with a Volvo L120H wheel loader. 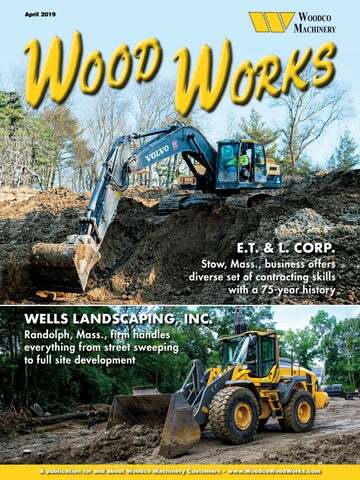 Wells Landscaping uses a variety of Volvo machines, including four wheel loaders ranging in size from an L20H to an L120H as well as EC290 and EC300EL excavators. Treasurer/Owner Karl Wells (left) calls on Woodco Machinery and Sales Rep Bob Rosa for his equipment needs. to Woodco Machinery and Sales Rep Bob Rosa for equipment. “Bob has helped us evolve from a small landscaping business,” said Karl. “He’s delivered the resources for us to grow from our excavator to more than 15 pieces of equipment today.” Wells Landscaping uses a variety of Volvo machines, including EC290 and EC300EL excavators as well as four wheel loaders ranging in size from an L20H to an L120H. “The comfort of the equipment is very important to me,” explained Karl. “If you’re going out in a snowstorm for 20 hours, you want to be comfortable. Little things like a radio with Bluetooth, to the larger things such as the cab ergonomics and fuel-economy, are major reasons why we prefer Volvo.” When it comes to sweeping, the firm utilizes three Elgin Broom Bear four-wheel mechanical sweepers and eight Elgin Pelican sweepers. The short wheelbase; large brooms; and dual-mode, air-suspension system make the Broom Bear ideal for sweeping in both congested urban areas and rural locations. The Pelican provides 360-degree visibility and an isolated cab with rear steering for maneuverability in city settings. “There’s a huge difference between the sweepers from 20 years ago to today,” noted Karl. “The Elgin products are very operator-friendly. You can drive the machine to any job; it automatically greases itself and requires very little maintenance. An E.T. & L. Corp. teamster moves a Volvo A35D articulated dump truck into position to drop soil removed from the Wayland wetland project. Adding meaningful improvements to an already efficient machine can prove challenging. Volvo surpasses that benchmark for heavy equipment owners with its ECR355E excavator. From road construction to heavy infrastructure jobsites, the ECR355E is versatile and powerful enough to deliver a finished project while providing significant savings in production. “Packed with optional features for added versatility, as well as all of our E-Series updates, the ECR355E is perfect for everything from heavy infrastructure and utility work to demolition and road building,” noted Ko. In addition to increasing the productivity and efficiency of the ECR355E, Volvo also prioritized operator convenience and safety when designing this excavator. “The ECR355E fills a need for a powerful machine in a short-swing design capable of heavy, high-production work in tight areas that would otherwise require a smaller, less productive machine,” said Sejong Ko, Excavator Product Manager at Volvo Construction Equipment. The 38.5-ton tracked excavator boasts a Tier 4 Final-compliant Volvo D8 engine with 241 horsepower, an 18 percent improvement compared to its predecessor, the ECR305C. The updated excavator’s advanced electro-hydraulic system reduces fuel costs by up to 10 percent, while also reducing emissions. The ECR355E further increases efficiency through the integrated Volvo work-mode system, allowing operators to select from five settings to match performance to application: Idle, Fine, General, Heavy or Power Max. It also provides a new ECO mode that features electronic-pump-control technology to boost fuel efficiency without any loss of performance in most operating conditions. With five performance settings, the Volvo ECR355E excavator gives operators the ability to work efficiently and confidently on any jobsite. Getting the full view The excavator works well on busy and confined jobsites thanks to its short-swing radius. With the absence of a large counterweight, crews can operate confidently, even in the tightest of work areas. Key features From excavators to haul trucks, ActiveCare Direct transforms large quantities of data into useful information for fleet managers to understand and then act upon. That information is collected and presented in several unique ways. Volvo’s ActiveCare Direct telematics monitoring and fleet utilization reporting service provides remote analysis that proactively recognizes potential problems and notifies a fleet manager when action is necessary. Wait time for a new or replacement hose at the shop is minimal, typically taking 10 to 30 minutes. Equipment owners can call ahead to have a hose pre-made and available for pick up, or they can bring a damaged hose to the shop for repair while they wait. “A customer can contact our parts department or the hose shop directly with the particular hose number that’s damaged and potentially avoid shutting down a machine,” explained Purdy. “If there’s any rubber missing from the outer cover, bubbles forming in that outer cover, noticeable dry rot or weeping from underneath the crimp behind the ferrule – those are signs that a hose is damaged and should be replaced. We can create the new hose quickly, so that the customer can pick it up while keeping the machine productive.” Continued . . .
“Alternatively, customers will bring in old, oil-filled, ripped-up hoses to the shop for replacement while they wait,” stated Hydraulic Hose Specialist Joe Piwinski. “We’ll take the damaged hose and put it on our bench, measure the hose and the end-fittings, and replace everything. Afterward, we’ll dispose of the old hose in an environmentally friendly manner.” Providing environmentally conscious disposal solutions is an important function of the shop. Woodco works with local hazardous-waste programs to guarantee proper removal and handling of any rubber, steel, oil or other by-products. Guaranteed quality at competitive prices “We are Volvo-certified and use their recommended products to replace or repair hoses,” shared Piwinski. “That includes the machines we use for crimping, cutting and skiving the hoses. Everything we sell through Volvo is guaranteed at their specifications. Woodco Machinery’s hydraulic hose shop is equipped to minimize customer downtime for hose-related issues. Hydraulic Hose Specialist Joe Piwinski can typically repair or replace a hose in 30 minutes or less. 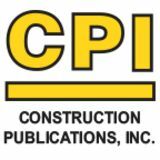 Presorted Standard US Postage Paid C.P.I.